We are so excited to join Turning Green’s College Road Tour at two universities in California! Don’t miss this tabling exhibition that features sustainable lifestyle themes (Footprint, food, fashion, body, zero waste, clean, living space) and ethical samples. 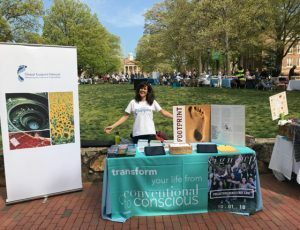 Stop by our table to learn more about your Footprint and how you can help #movethedate of Earth Overshoot Day.